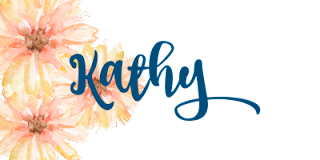 #stampinup #faithfulinkspirations One of the first things I spotted in the Holiday Catalog was the gorgeous Merry Little Christmas Suite of products. Stampin' Up calls this a "mega suite" because there are so many products. If you don't have a copy of the Holiday Catalog, you can see view it online by clicking the link on the right side of this blog. If you want a catalog to hold in your hands, please let me know and I can get one right to you. The Merry Little Christmas Mega Suite is on pages 10 through 13. I'm in love with the Merry Little Christmas Designer Series Paper. 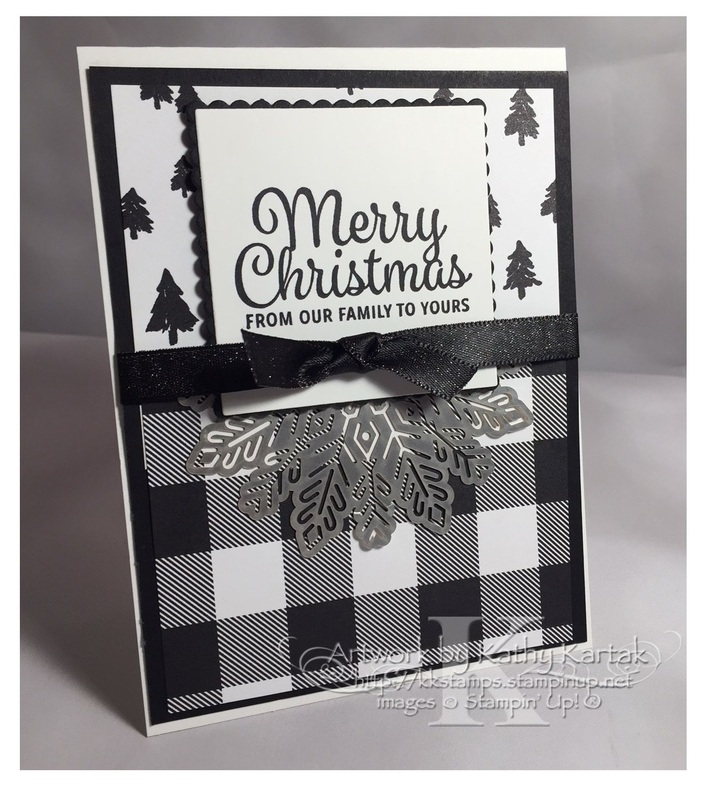 I'm always happy to see black and white together and this card is so simple and elegant because of the DSP and the gorgeous silver Foil Snowflake. I started with a 3-7/8" by 5-1/8" Basic Black Card Stock mat. I added a 3-3/4" by 2" piece of Merry Little Christmas DSP to the top and another 3-3/4" by 3" piece to the bottom. then I wrapped a length of Basic Black Shimmer Ribbon at the seam between the papers. I can't get enough of that ribbon! I adhered all this to a Thick Whisper White Card Stock card base. Next, I stamped a sentiment from the "Snowflake Sentiments" stamp set onto a Whisper White scrap. This set is perfect for sentiments for the outside and inside of your holiday cards. It's a keeper! I cut this out with one of the Layering Squares Framelits and adhered it to a Basic Black scalloped square cut with another of the Layering Squares Framelits. I adhered this to the card with Stampin' Dimensionals. To finish the card, and add that special touch of holiday bling, I cut a silver Foil Snowflake in half, added a bit of Snail Adhesive to the cut edge and tucked it under the sentiment square. It's gorgeous, isn't it? The simplicity of the design and Stampin' Up's elegant products make it easy to create a stack of these to send to friends and family.